THE front seats of the jeep are tolerably comfortable, but the shallow, flat rear seat is a notorious back-breaker. It can be improved considerably by installing two pieces of 1/2 in. plywood, (photo 1, above right), hinged to the bottom of the seat frame. Position the back board to about the angle shown. To the front of the bottom board, attach short wooden feet (photo 2, right) about 10 inches long. The back board can be pushed forward, (photo 3, below) to give access to the hand crank mounted against the rear wall of the jeep. The original spring bottom seat can be used again (photo 4, below). For back support, use old sofa cushions, or, better yet, life-preserver cushions. This is the last of a series of four articles dealing with jeep modification. 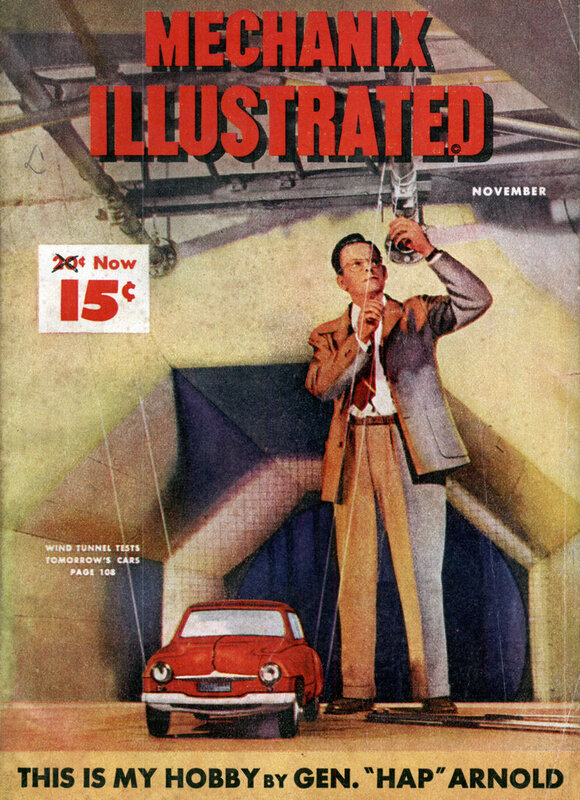 The others appeared in the October, and November, 1946 and April, 1947 issues of Mechanix Illustrated. These articles illustrated a number of ways of improving the utility, appearance and general comfort of this rugged little vehicle. 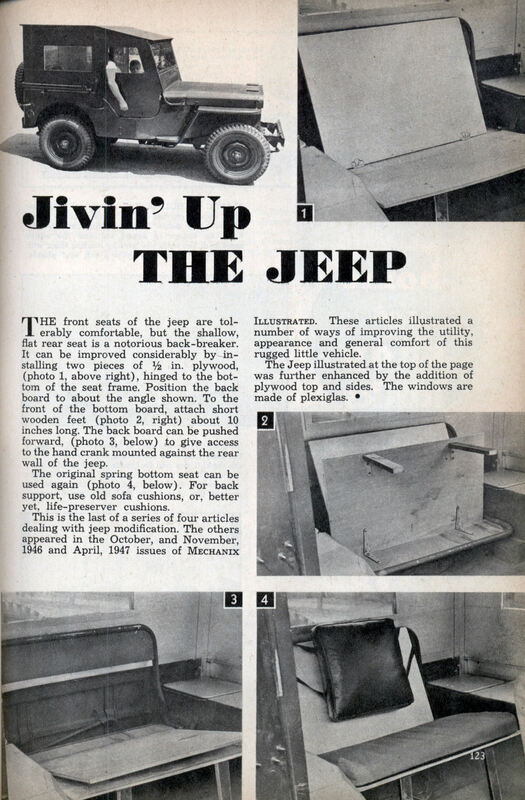 The Jeep illustrated at the top of the page was further enhanced by the addition of plywood top and sides. The windows are made of plexiglas. Pimp My Ride — the early years. LOL, I was about to say “Jive My Ride” but you beat me to the joke!